The Oakland Raiders have spent the better portion of the offseason recalibrating the roster after falling well short of the playoffs during the 2017 NFL season. Much of that effort has been focused on improving their group of players on the defensive side of the ball. In his first four years in the league, Mack has been nothing short of impressive as his 40.5 sacks over that span are the third-most by a player over that stretch in team history and fifth-most all-time. He is also coming off another highly productive season where he recorded a team-high 10.5 sacks, which made him just the fifth player in team history to notch at least 10 sacks in three different seasons. 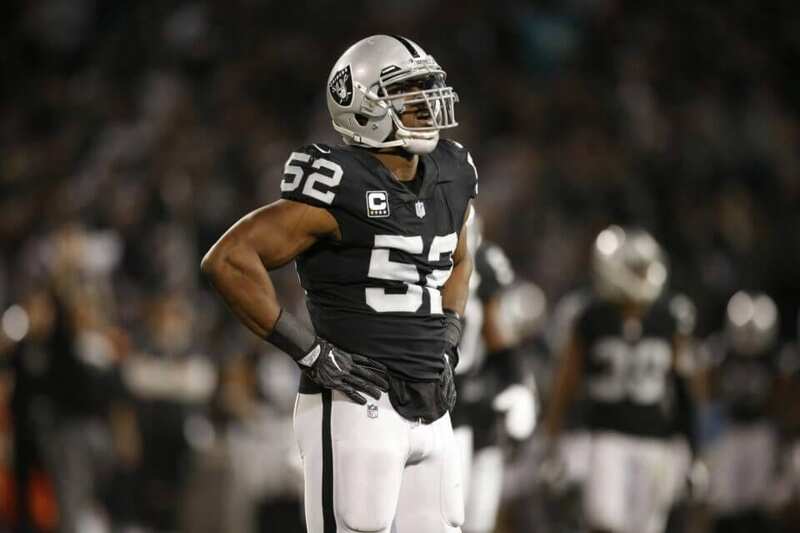 Mack has been the unquestioned cornerstone of the Raiders defensive front over his career that saw has seen him rack up numerous individual accolades along the way such as three Pro Bowl selections, two First-Team All-Pro nods, and the NFL Defensive Player of the Year award. On top of that, Mack is the first player to earn All-Pro honors at two different positions. It may simply be the waiting game for Mack to see what kind of deal star defensive tackle Aaron Donald gets from the Los Angeles Rams as he is nearing becoming the highest-paid defensive player in the league. This could be just a matter of time before there is a new lucrative extension in place to keep him with the Raiders over the next several seasons.